Maree Saraceni and her family have spent the vast majority of their vacation time and many weekends in Busselton, Dunsborough and the Margaret River Wine Region after being introduced to the wonders of that particular part of the South West by their good friends Colin and Karen Vidler. Over the years, they have in turn introduced many family members and friends to vineyards, beaches, breweries, galleries, restaurants, caves, to name but a few, while holidaying at the family beach house in Old Dunsborough. The Saraceni family first became involved in the wine industry many years ago through a small fine wine importing business they owned. In the time since they have diversified and expanded, beginning commercial production in 1998 with the first small vintage produced under the Saracen Estates label. Property for a vineyard was purchased on Caves Road, Wilyabrup in late 2002. 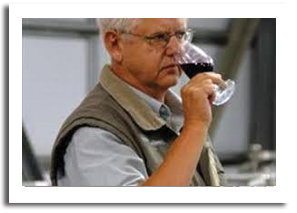 Around that time, World renowned Consultant Winemaker, Bob Cartwright, was approached to join the Saracen Estates team and has been responsible for many accolades and the production of many award winning Saracen Estate wines. Maree Saraceni believes in aiming to provide a unique experience for her loyal customers and the previous Saracen Estates incorportating Duckstein Brewery Complex (2008-2013), did just that and more. She was dedicated to the vineyard and the wine industry and her aim is still to produce premium wines that rank among the country’s best. Since July, 2013, Saracen Estates has been operating a virtual winery from it’s Perth office. Along with her brother, General Manager Dennis Parker, Maree put together a very talented team to lead Saracen Estates into an award winning future, and tasting and enjoying the quality of their wines will be testament to this fact. 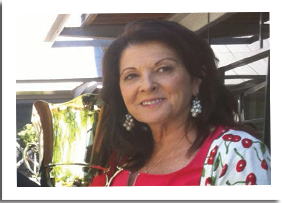 Dennis is Maree Saraceni’s brother and has been involved with Saracen Properties since 1995. He and Maree grew up as very close siblings, and Dennis lived with Maree from the age of seventeen until twenty three when he married Jane (Giovanna). Jane and Dennis spent the first six months of their marriage in Sicily with Jane’s family where Dennis had his first taste of the wine world, assisting in the production of the family’s wine: his main duty being to squash grapes with his feet! Dennis’ role at Saracen Estates draws on his skills developed in management through his years with Saracen Properties and he is responsible for overseeing production, sales and marketing and has been integral in the establishment of the previous Saracen Estates – Duckstein Brewery Complex (2008-2013) in Margaret River. 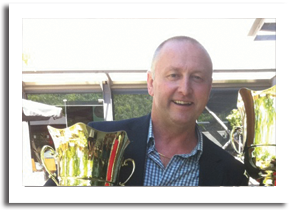 Dennis brings passion and drive to the Saracen Group and is committed and dedicated to the future growth and prosperity of one of the up and coming companies of the Margaret River Wine Region. South Australian born Bob began his career in the Barossa Valley at Kaiser Stuhl in 1963, working initially as a cellar hand then as a laboratory assistant. After two years practical experience he commenced study at Roseworthy Agricultural College, graduating in 1967 and winning the R.H. Martin Memorial prize for Sensory Evaluation. In 1973 Bob relocated his young family to Western Australia, taking a position at Valencia Wines and then Houghton as winemaker. In 1978, Bob joined Leeuwin Estate for their first vintage in the then fledgling Margaret River Wine Region. Bob remained with Leeuwin Estate for twenty eight vintages, during that time crafting what was to become known as one of Australia’s and indeed the world’s finest Chardonnays, the Leeuwin Art Series. When the Saraceni’s approached Bob about making their wines: “The vineyards, the varieties and the enthusiasm were enough for me!” he says. Maree’s favourite grape variety is Chardonnay, and her commitment and passion for producing world class wines together with Bob’s talent means that our wines are more than well looked after, and this can certainly be seen in the accolades we have received in our short history. Bob is a great credit to the Saracen team, not only for the obvious skill and talent he brings with his winemaking skills, but also for his willingness to answer questions and pass his knowledge on to the staff. He also possesses a wealth of great fishing tips, and when he’s not got his nose in yet another glass of Chardonnay he’ll be out on the Indian Ocean searching for the perfect catch to accompany his favourite wine!